4 Bedroom Terraced House For Sale in Yeovil for Asking Price £230,000. Palmer Snell are pleased to welcome to the market this extended family home that is immaculately presented throughout and well situated on the western side of Yeovil. Upon entering the property, you are welcomed by a tiled hallway providing access to: WC, bedroom four/study, open plan kitchen/diner with skylight and large living room. To the first floor there are three further good size bedrooms (with the master benefitting from an en-suite) and a bathroom. The property benefits from a manageable garden, double glazing throughout and gas fired central heating. A sizeable room to the rear of the property, fitted with double doors to the side leading to the rear garden and a window to rear. With suite comprising part tiled walls, double shower, extractor fan, pedestal wash hand basin, low level WC and window to rear. 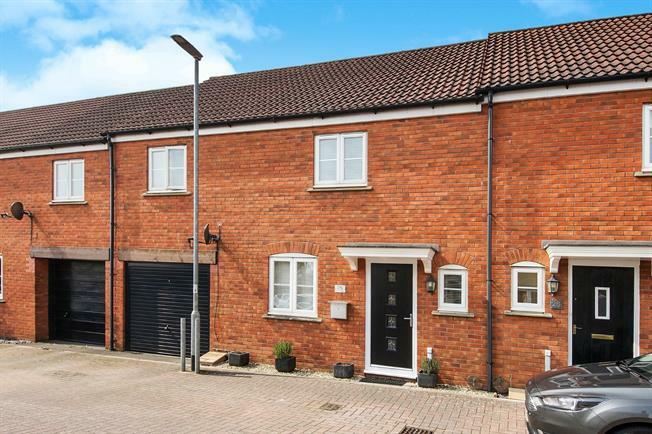 With window to rear and suite comprising window to rear, panelled bath with mixer taps, tiled flooring, low level WC, pedestal wash hand basin, extractor fan and part tiled walls. With power, lighting and up and over door. The low maintenance rear garden is laid to patio with a gravelled area and is fully enclosed.